​The clinical program is devoted to training clinical scientists and to the promotion of an integration of science and practice. We understand the scientific method as the appropriate basis for clinical psychology: it provides the strongest basis for developing new knowledge in our field, and clinicians should provide those services that are shown scientifically to be effective. We train our students to be leading researchers, critical consumers of the scientific literature, and clinicians who depend on scientific findings to guide their applied activities. All of our doctoral students are expected to conduct original research, and most of our graduates make ongoing contributions to the scientific literature over the course of their careers. Successful applicants to our program usually have strong research interests that they intend to pursue during their training. We anticipate that some students will enter the program without fully formed professional goals, and so will consider research, teaching, and delivery of clinical services as possible career activities. Our program offers sufficient breadth and flexibility to train students for careers that involve all three. All students will receive rigorous training in both research and practice, and will both conduct scientific research and apply science-based methods in clinical practice. In addition, classroom teaching and supervisory experiences are available to clinical students. There are many career paths open to scientific clinical psychologists; many of our graduates receive medical center and university psychology department faculty appointments. Both types of appointments involve clinical research, and many medical center appointments also involve clinical service delivery. Ongoing conversations between students and their advisors, other faculty members, other scientists, and other professional psychologists assist students in clarifying their professional goals and tailoring their training to support them. It is our goal to train students to bring an empirical, science-based approach to all of their professional activities, regardless of their ultimate career path. The PhD program in clinical psychology is accredited by the Commission on Accreditation of American Psychological Association and by the Psychological Clinical Science Accreditation System, and is a member of the Academy of Psychological Clinical Science. The program has a long history of providing financial support to students in the form of research grants to individual faculty, graduate school fellowships, minority student fellowships, teaching assistantships, and training stipends from clinical practicum placements. For admissions information, click here: UK Psychology Graduate Admissions. Please note that all prospectively admitted students may undergo a criminal background check. The curriculum provides not only breadth of coverage in traditional and contemporary science-based aspects of clinical psychology, but also considerable freedom in choice of electives by the student beyond the first year. The program emphasizes broad exposure to the major areas of clinical psychology; beyond this, the student and the student's doctoral committee outline a plan of study most relevant to the student's interest, both within and outside the department. Students may concentrate in such areas as research methodologies, individual psychotherapy, neuropsychology, psychopathology, mental health administration, community psychology, health psychology, or clinical child psychology. 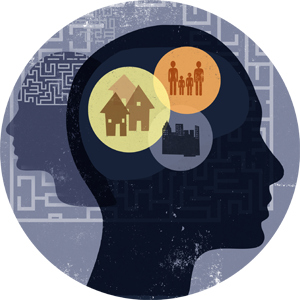 A fundamental tenet of the ethical provision of psychological services is that psychologists provide services to all types of clients, regardless of client worldviews, beliefs, values, racial or ethnic background, gender identification, sexual orientation, or other aspects of clients’ identity. We are committed to training all students to be able to meet this ethical standard, and meeting the standard is necessary for successful completion of the program. We appreciate that, initially, some students may find it challenging to work with clients who hold very different worldviews or conflicting values and beliefs, and we are committed to working in a respectful way with students to develop, over time, the capacity to meet this core ethical standard. The required courses for all clinical students include Interviewing (PSY 629, two semesters of Personality and Intellectual Assessment (PSY 630, PSY 631), Personality Theory (PSY 622), Psychopathology (PSY 603), Systems of Psychotherapy (PSY 636), and supervised Practicum in Psychotherapy and Behavior Change (PSY 637). Additional required courses include two semesters of Statistics (PSY 610, PSY 611) and ethics (PSY 710). Students also choose from a variety of advanced clinical seminars, at least two of which are required, to meet their particular interests and training needs. Research competence is acquired through a Clinical Research and Design seminar (PSY 616), and completion of a master's thesis and doctoral dissertation. Doctoral students pursuing academic or research careers engage in considerable additional research with the faculty. The American Psychological Association and state licensing boards require that doctoral students demonstrate competence in each of the following areas: biological bases of behavior, cognitive-affective bases of behavior, social bases of behavior and individual differences. Required and elective courses are provided to ensure that students meet these requirements. For more information on courses and program requirements, please see our Graduate Handbook. Doctoral students in clinical psychology complete their training at an internship setting accredited by the American Psychological Association. When students opt for an unaffiliated internship, the internship typically is completed in the fifth or sixth year, following completion of all course requirements and the dissertation proposal. Alternatively, students may fulfill their internship requirement in the UK Internship Consortium Program, a two-year half-time exclusively affiliated internship; students who choose this option typically start the affiliated internship in their third, fourth, or fifth year, following completion of all course requirements and the dissertation proposal. Prior to their internship, students participate in clinical practicum experiences at a variety of settings, including the University Counseling Center, the Department of Psychiatry, and Eastern State Hospital, which is a regional psychiatric facility.